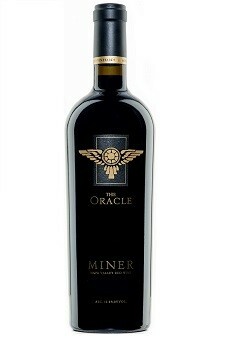 The Oracle is an exceptionally balanced, full-bodied red blend made from grapes grown at Stagecoach Vineyard in the eastern hills of Napa Valley. In Greek mythology, the oracle was a source of inspiration and revelation. We hope that you will find the answers to life’s most compelling questions while enjoying The Oracle with friends and family. This is an elegant wine with layers cocoa, spicy oak and lush blackberry that promises to drink handsomely for at least a decade.